When Will The Walking Dead Season 5 Hit Netflix? Sometimes it pays to have cable, at least if you are a Walking Dead fan. The AMC TV series wrapped up its fifth season all the way back in March, but unfortunately fans who were hoping to catch up on the latest season of the series via means alternate to cable may be a bit disappointed. The Walking Dead is not expected to hit Netflix until the fall, although Blu-ray purchasers should get the episodes a little earlier. The late Netflix release has precedent. Way back in 2011, when Netflix struck a deal with AMC to land content like The Walking Dead and the (then) still-airing Breaking Bad, users in US and Canada learned they wouldn’t be able to view the last season on the streaming service until just before the new season began airing. We already know that Season 1 of Better Call Saul will be available just a couple of weeks before Season 2 of the series hits AMC, and the rumor mill currently has The Walking Dead Season 5 listed for a September 2015 release, just a few weeks before the hit drama is likely to return to the schedule. We say ‘is likely,’ because AMC hasn’t announced the Season 6 premiere date for The Walking Dead yet. However, literally every season of the drama that has aired so far has hit the schedule in October, so we would be shocked if the network threw a curveball and decided to air the series later in the year than usual. The only thing that could theoretically affect The Walking Dead is its spinoff Fear The Walking Dead, which is expected to hit the schedule in August anyway. Only six episodes have been produced for the first season, so the show should theoretically be done around the time The Walking Dead should premiere, anyway. Netflix has not formally made an announcement at this juncture, but it should be coming at some point in the near future, and we’ll let you know when that goes down. In the meantime, if you’ve managed to avoid spoilers on the internet thus far or just want to watch the episodes again, there are still other ways to catch Season 5 of The Walking Dead, even if you don’t have a cable package. 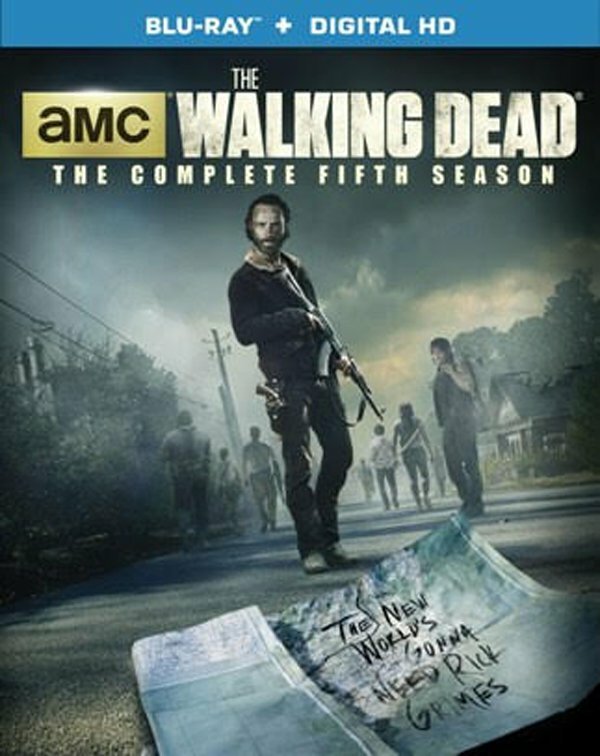 The Walking Dead: The Complete Fifth Season will be hitting Blu-ray, DVD and Digital on August 25, 2015—although it might be cheaper just to nab cable. Blu-ray and Digital copies will SRP at $79.99 while DVD costs will SRP at 69.98. AMC knows it has a winner in The Walking Dead and the channel puts plenty of money into early advertising to keep fans hyped and excited about watching new episodes when they hit the schedule.